Do I not like that! 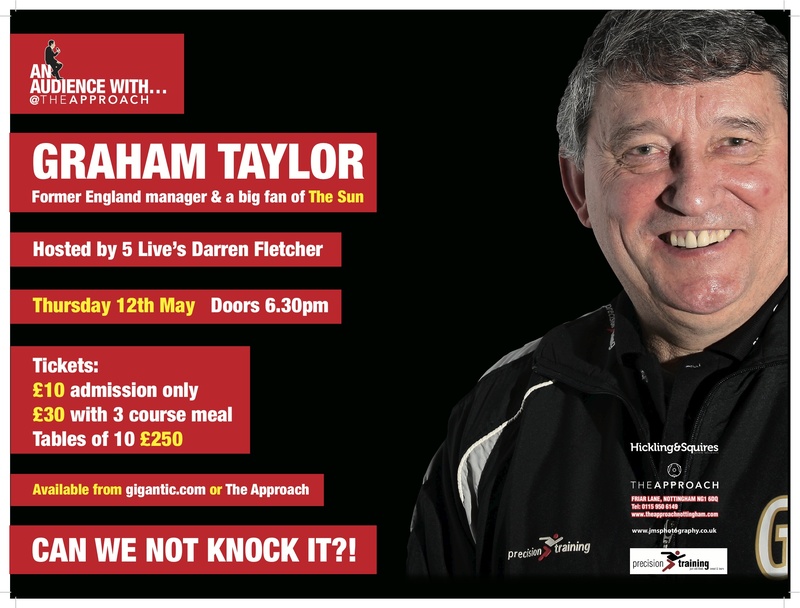 Your chance to meet Graham Taylor.. | Through the seasons before us..
Do I not like that! Your chance to meet Graham Taylor.. Cast as possibly the most hapless man (and there’s been a few) to take the England hot seat, lambasted by the press and likened to a turnip of all things. The icing on the cake though, rather unfortunately (for him), was when he decided to allow a film crew to document his failed attempt to qualify for the World Cup. It’s certainly the case that Graham Taylor is someone we won’t forget lightly. Despite this, I can’t help but get the feeling he was rather unfairly painted by the media – certainly the England job came at the wrong time for him, both in terms of his own abilities but also in terms of the calibre of players in that transitional phase. Of course, we must also remember that this is the man that handed a cap to Carlton Palmer. I believe it was Carlton who was infamously on the end of the ‘Can we not knock it?’ line. You can pick up tickets by clicking here, or by popping to the venue. I should be an interesting night, and a chance to perhaps exorcise some of those 1992 and 1994 International Campaign demons you might have been harbouring for the last few years! PS: Good to be back after a bit of a break. Looking forward to the proper football starting again at the weekend! glad you are back, we were starting to worry about you! Thought you had gone on a long holiday nice to see you back. Real football will be hopefully played over the next 8 games is there any news about injuries etc? A combination of technical problems, international break and general laziness! Feel better for it though! Will get back to business as usual tomorrow with a preview for the Leeds game. Thought you were lickin’ all our wounds after Swansea? Nice to see ya back! Good lad good to see you back in business!